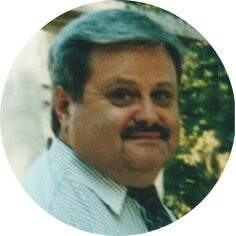 Lawrence Donald Mantyak passed away suddenly in Moose Jaw, SK on Wednesday, January 30th, 2019 at age 70 years. Born in Fort Qu’Appelle on September 11th, 1948, Lawrence was the youngest of 6 children growing up as a farm boy. He loved to work with his hands and would often help out with harvest at the farm. His carpentry skills were very good, having built his own garage and always keeping busy with many household projects. Lawrence was known for his sense of humor and seemed to always find ways to lighten the mood with his infectious laugh, but was never afraid to speak his mind. Lawrence loved watching football having cheered for the Saskatchewan Roughriders and Minnesota Vikings. He worked in the insurance industry where it took him to live in Vernon, BC from 1987-93. When he returned to Saskatchewan, he married his second wife Lorraine in 1995 and returned to Winfield, BC. While living in BC he developed a love for the mountains and lakes, and also found his true passion by becoming a freelance videographer. His footage that he shot at Predator Ridge golf course near Vernon was aired on TSN. He ran his own media outlet called DVS media. He shot footage that was used by local CTV, CBC and Global stations. He was often seen with a camera in hand and took a lot of pride in his work. Lawrence and Lorraine moved to Moose Jaw in 2005 where he continued his video work. He was also involved in Alcoholics Anonymous where he lent a helping hand to anyone who needed it and formed a lot of strong friendships. He was predeceased by his second wife, Lorraine in 2015; father, Michael; mother, Pauline “Granny”; and siblings: Joe, Ann, and Peter. Lawrence is survived by his son, Colin (Kelly); daughter, Melanie; grandsons, Jess and Jakob; brothers, Mark and Richard (Joanne); along with several nephews and nieces. Lawrence loved his 4 cats Alf, Cheeka, Tucker and Molly. In keeping with Lawrence’s wishes, a private family service will be held at a later date. In lieu of flowers, donations in Lawrence’s name may be made to the Saskatchewan Division of the Canadian Mental Health Association, 2702 12th Avenue, Regina, SK S4T 1J2 www.sk.chma.ca. Arrangements are entrusted to Moose Jaw Funeral Home, 268 Mulberry Lane. Michelle Surtees Funeral Director 306-693-4550. Romans 5:12. (2) ? Could we see our love one alive again? Ans, is found in 1Corinthians 15: 21- 23.